After taking pictures of my DIY color-blocked dress below I changed into this lovely, comfy and much warmer outfit. I hope sunny california gets sunny and warmer soon. I love this! This look is gorgeous! I love this look reminds me of one I did inspired by Beyonce great look though love the necklace!! I remember that look ;-) you looked fab! LOL, girl you are so sweet! Very nice, diggin the bright red blazer and statement necklace. Super Chic! Love that necklace! Fab! Fab! Fab! We would LOVE a tutorial on this maxi skirt! Very cute!! Love the shoes and necklace!! 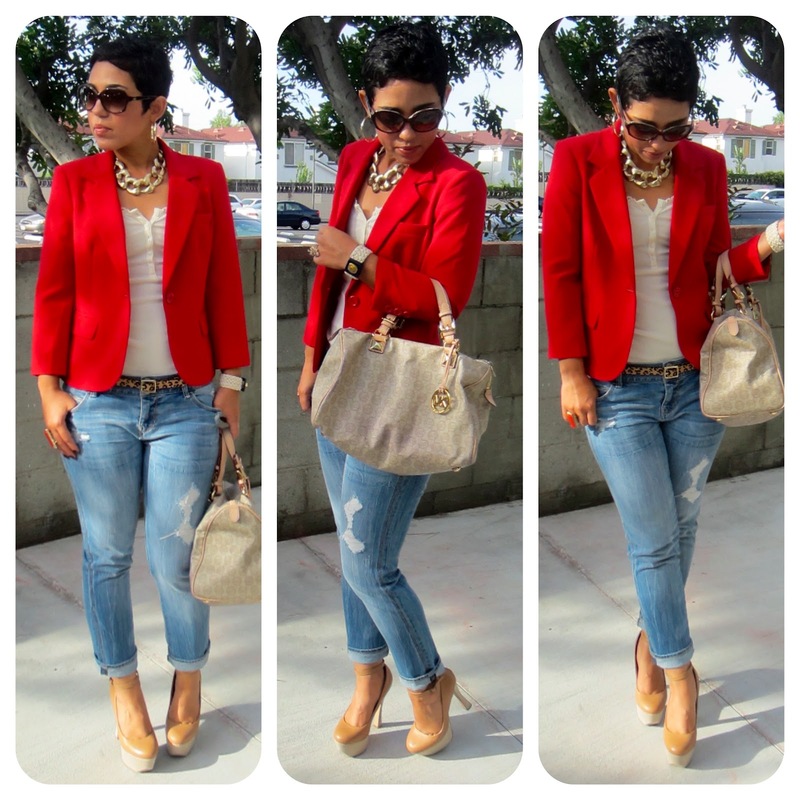 So jnspired to finally wear my red blazer on a future post on my blog and ill link your page! You look so cute!! I just found your blog and I am hooked! You have great style and you are extremely talented*__*!